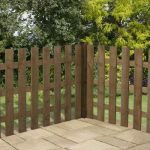 Palisade fencing is the ideal type of timber panels to mark out your boundary and fence off your property without completing blocking out your surroundings. As a lower level type of fencing, palisades offer the best of both worlds: clear perimeter boundaries without obscuring the view completely. 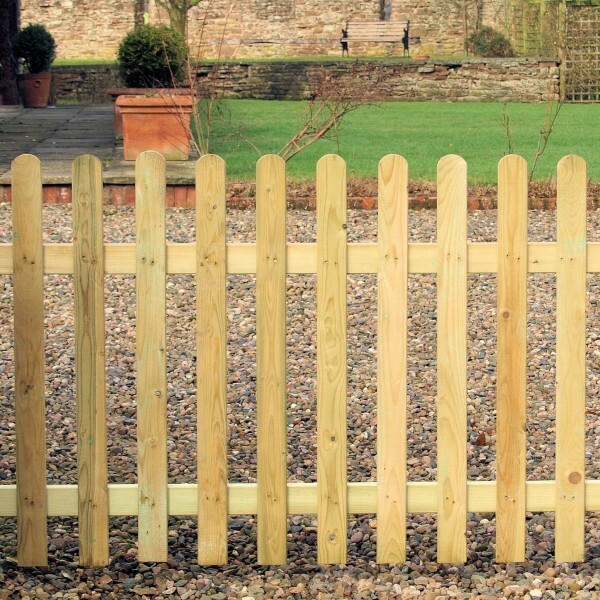 They also provide an element of privacy, giving you the confidence to use your garden more freely. 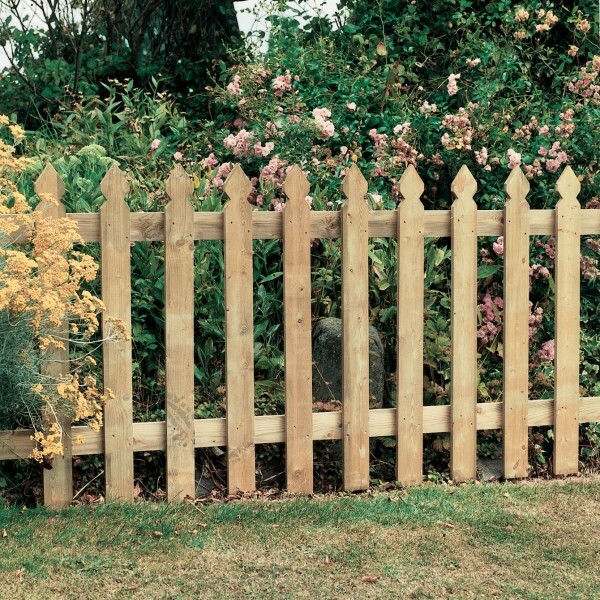 These Palisade panels are extremely affordable, offering great value for money as well as high quality. 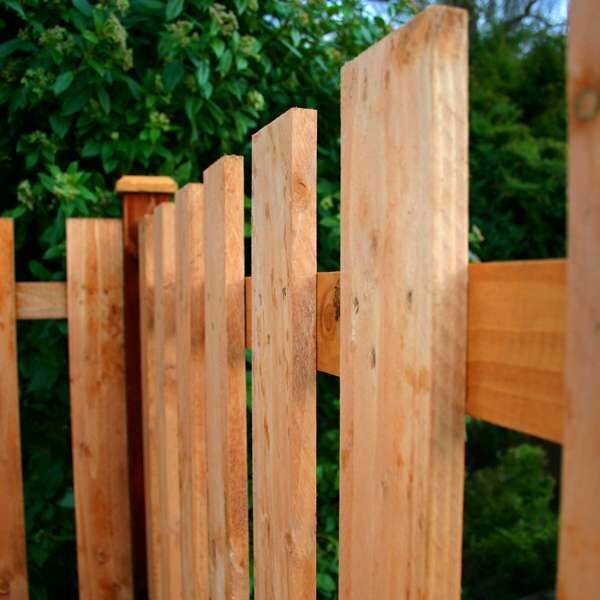 You don’t need to sacrifice on the timber to get a good deal as every piece of fencing is made from premium softwood which is certified by the FSC. There is a matching Palisade gate available in the collection too. 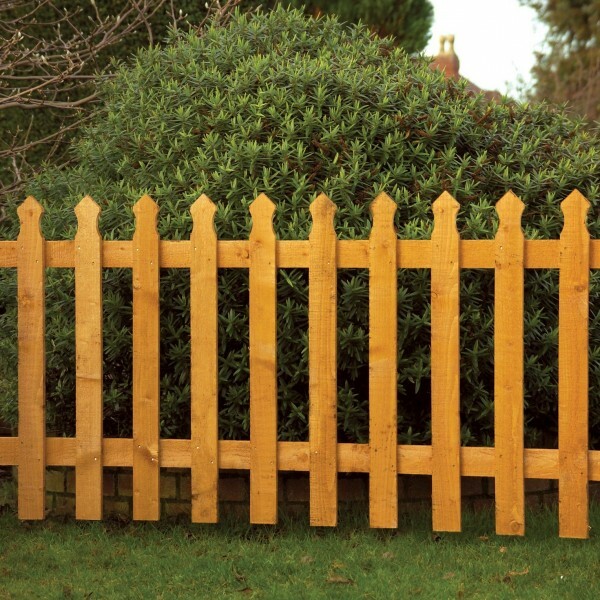 There’s also a wide variety of choice with this fencing, so you can choose the type of look that appeals the most. Select between either a squared or rounded top, the size of each palisade and the type of finish you want. The golden brown colour is created with a dip treatment which also provides protection against fungus, rot and decay. Alternatively, there’s a natural wood finish with a pale green tone which is the result of a powerful pressure treatment that ensures the weatherproofing and protection penetrates throughout the whole of the wood. Each of the boards are 16mm thick and every panel is supported by three strong horizontal posts on the rear.